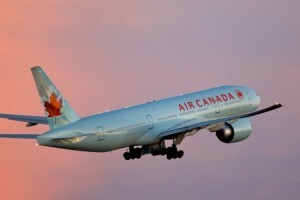 TORONTO - Air Canada Vacations has added Cartagena, Colombia to its winter lineup, with 11 hotels and new, nonstop Toronto-Cartagena flights on Air Canada Rouge. Departures start Dec. 18, 2017 and run every Monday through April 9, 2018. Flights will be operated on 136-seat Air Canada Rouge A319s offering two classes of service: Premium Rouge and Economy. ACV says its 11 hotels, available across a range of price points, are located throughout the main areas of the city: Bocagrande Beach, the Old Town and the northern area. Hotels will offer a choice of meal plans, as well as the more traditional all-inclusive option. Cartagena is known for its beaches, colonial architecture, excellent cuisine, original street art and relaxed atmosphere, he added. Main tourist attractions in the city include the Castillo de San Felipe de Barajas, the Walls of Cartagena de Indias, the Cartagena Gold Museum, the Palace of the Inquisition and the Clock Tower. With the ACV&ME loyalty program, travel agents who book hotels, cruises and groups will receive 600 points per room for packages of 7+ nights; 400 points per room for packages of 3-6 nights; 600 points per stateroom for Air & Cruise packages; and 300 points per passenger for Group bookings. ACV&ME Points can be redeemed for Aeroplan Miles, travel vouchers or Visa gift cards.